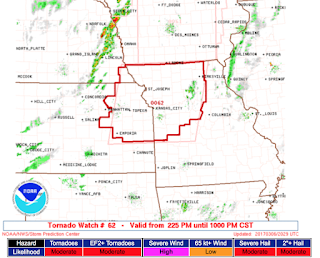 We have two tornado watches. One covers eastern Kansas and western Missouri. 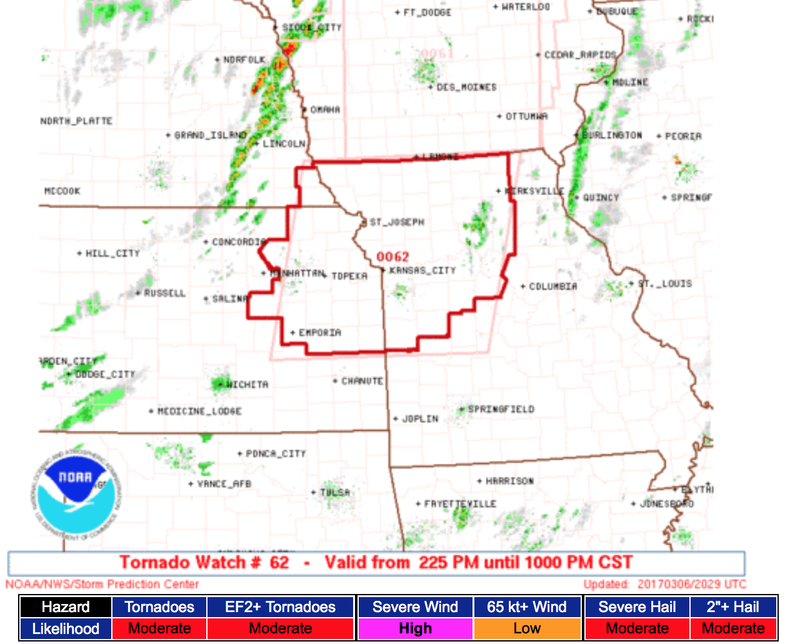 This watch is in effect until 10pm CDT. There is a moderate risk of tornadoes and a moderate risk of a strong tornado or two. There is also a high risk of thunderstorm-generated wind gusts of 60 mph or higher along with a risk of very large hail. The second covers most of Iowa. It, too, forecasts a moderate risk of tornadoes and strong tornadoes. It is likely additional watches will be issued. I plan to update at least once this evening.